Are you planning to get down on your knees and pop the question to the woman you love? She will most probably be too happy and overwhelmed to even notice the wedding ring. Still, it is very important to find the one ring that will look perfectly gorgeous on your sweetheart’s left hand. 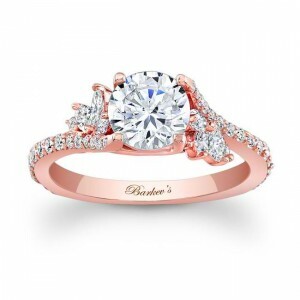 There is a high probability she’s been eyeing those rose gold engagement rings that were popularized by famous celebrities like Blake Lively, Miley Cyrus, and LeAnn Rimes. 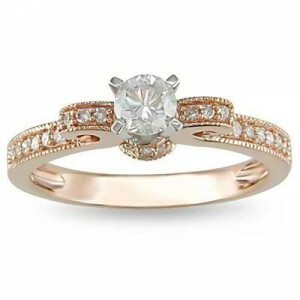 When it comes to engagement rings it is usually the center stone that catches the attention of everyone. 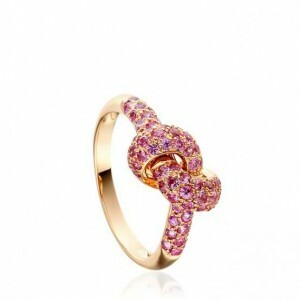 This ring’s side look like flower petals which makes it a real beauty. 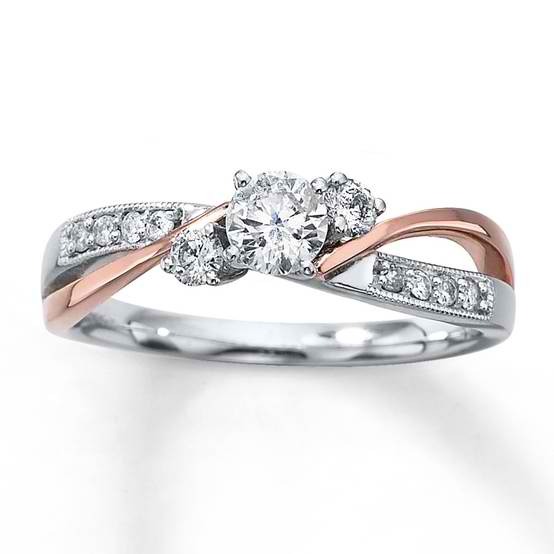 Priced at $2,799, the ring is gorgeous from the top, but even prettier from the sides. 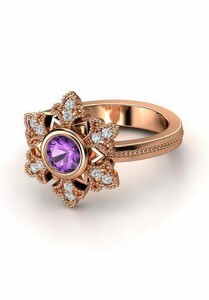 The flowery design makes it perfect for a woman who is classy and very feminine. Proposing to a woman born in November? This is the one engagement ring you are looking for. 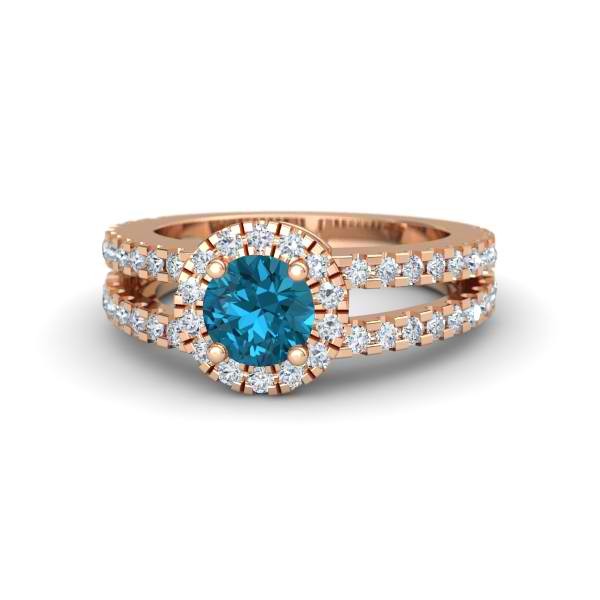 Priced at $2,220, this beautiful ring has a round London Blue Topaz Natural AAA grade diamond as its center stone. This can also be customized with 26 gemstones and 9 precious metals of your own choice. Don’t you just love how this ring is called? Not only will its name capture your heart, it will also mesmerize your honey’s eyes. Why give her one when she can have four? You can buy this ring at $4,961 through The Vow App. As part of tradition, engagement rings are usually made of diamonds. 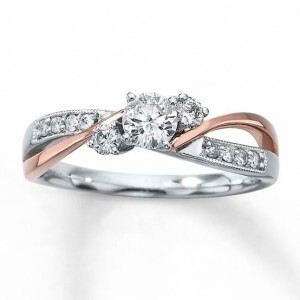 If your girl is the type who loves to make a statement and prefers to go against tradition, this Love Knot Rose Gold Engagement Ring will make her say “Yes!” even before you pop the question. It is even named aptly for someone tying the knot! $1,725 at www.astleyclarke.com. If you want to play it safe and stick to tradition but love the uniqueness of rose gold, this two toned ring is the one you are looking for. 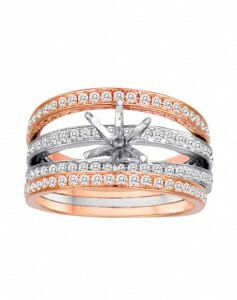 At $1,459.99 you can get this classic diamond ring with a rose gold twist at www.kay.com. Rose gold engagement rings complement a woman’s skin tone. Going against tradition with this unique rose gold engagement ring will make her stand out from the crowd. This ring is the best way to tell your sweetheart she is your everything. 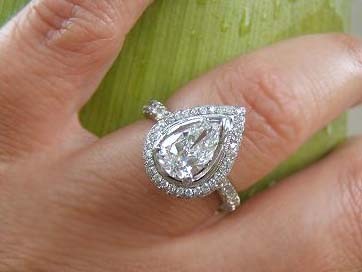 The pear shaped center stone is surrounded by diamonds. Stargems.com offers this beauty at $1,575. 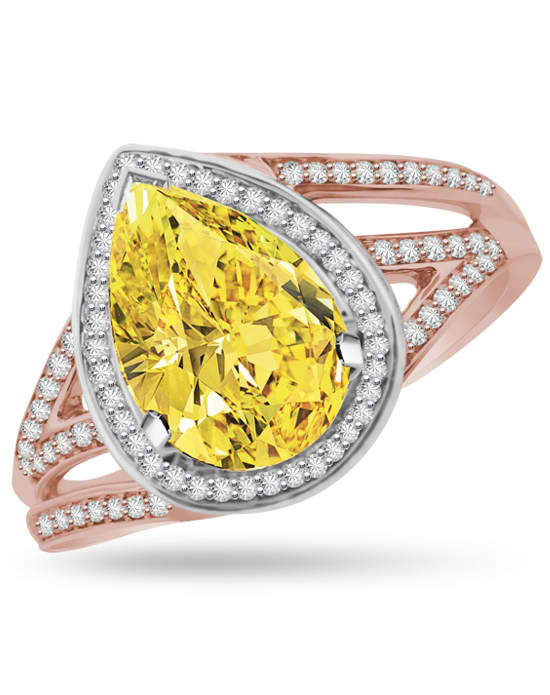 This ring features a round center diamond framed by hear-shaped prongs. 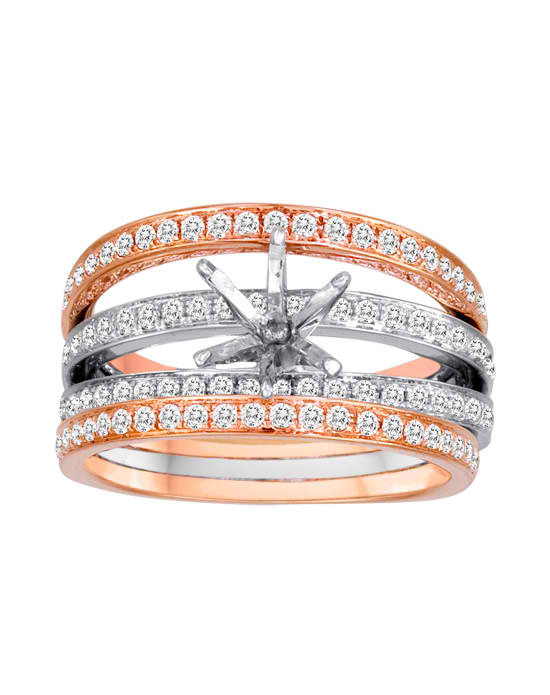 Tiny dazzling diamonds decorate the rose gold band. 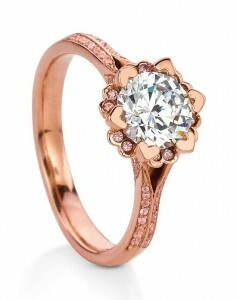 Go to www.maevona.com to order this exquisite $1,970 engagement ring. A ring that features a snowflake! It’s a ring that will remind her of the season of love. This intricately designed engagement ring can be a real family heirloom. This can be purchased for $2,390 from www.gemvara.com. Astley Clarke have created really stunning jewelry pieces. 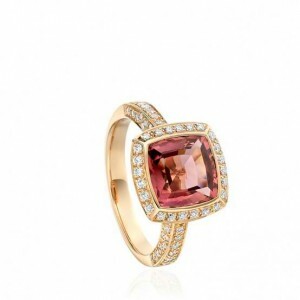 This ring is perfect for the fashionable bride-to-be. Does your sweetheart love pink? If yes, she will probably be choosing a pink color motif for your wedding. This $6000 ring will look good around her finger on your wedding day! Remember that she will wear the engagement ring forever. She might even hand it down to your future daughter. Choose this piece. It will surely stand the test of time. 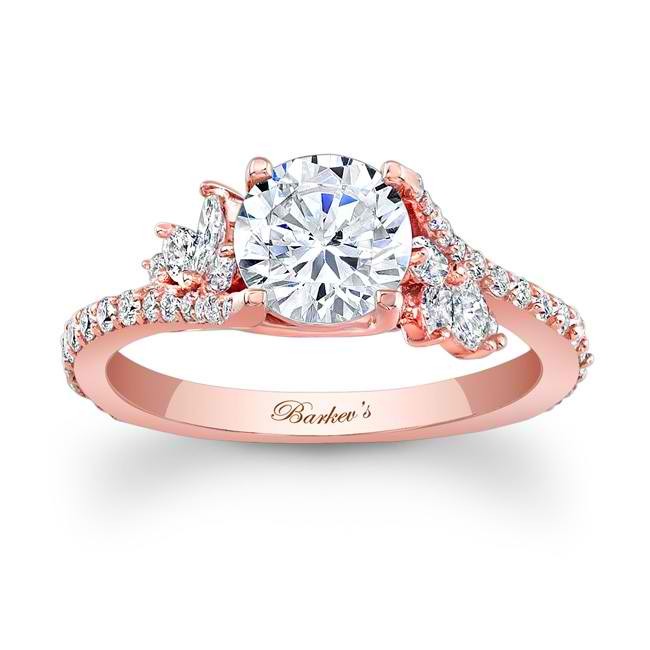 If you don’t like to give your partner an engagement ring that’s too over-the-top, choose this simple yet high-class ring from Zales. 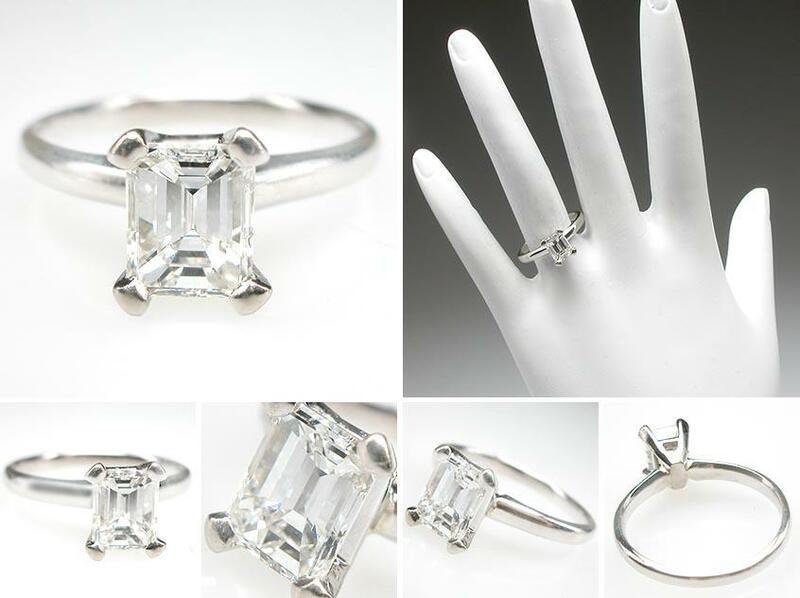 At $1,299.65 your bride-to-be will shine like a diamond on your wedding day! 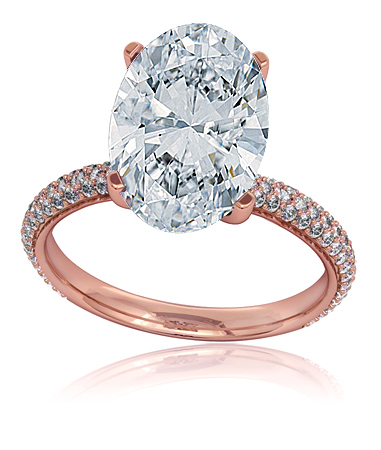 Which of these exquisite, unique rose gold engagement rings is your choice? Whatever is your choice, your lady will surely treasure the token of your unending love and devotion!